Em 2017, a FAPESP desembolsou R$ 1,058 bilhão em 24.026 projetos de pesquisa. 85% dos projetos contratados foram destinados ao avanço do conhecimento. Livro apresenta a evolução do apoio da FAPESP ao desenvolvimento científico e tecnológico no Brasil. 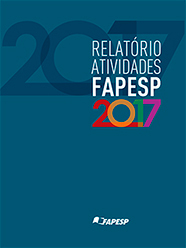 FAPESP supports, since May 2013, 17 Research, Innovation and Dissemination Centers (RIDCs) selected for funding for a period of up to eleven years. Since 2009, FAPESP has gradually increased and strengthened the partnerships with British institutions, including academies, companies and an expressive number of universities. The BIOTA-FAPESP Program promotes the advancement of scientific knowledge as well as the knowledge transfer to public institutions, aiming to improve mechanisms and policies for conservation, restoration and sustainable use of Brazilian biodiversity. 53% of the scientific publications in Astronomy and Astrophysics with authors in Brazil have authors working in the state of São Paulo. 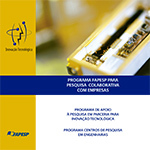 This research is strongly supported by FAPESP. FAPESP has been providing continuous support to research projects that study the Amazon region under different and complementary perspectives. In Humanities and Social Sciences, researchers in the State of São Paulo create results recognizes worldwide.